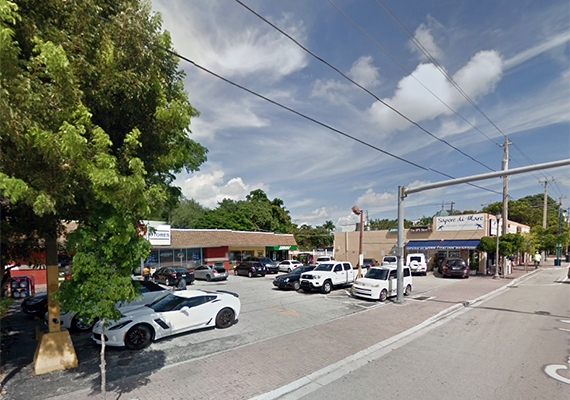 A development site on Grand Avenue in Coconut Grove hit the market this week for $39.9 million, or nearly $680 per square foot. The 1.35-acre assemblage at 3101 Grand Avenue includes six parcels that break down to four single-family lots and two commercial properties at 3101 and 3131 Grand Avenue, according to a Costar listing. The single-story commercial buildings are occupied by Sapore di Mare, a seafood restaurant; the UPS Store; a laundry and dry cleaning store; a Kwik Stop food store; Subway and other tenants. The buildings, including the single family homes on the other side of the block on Florida Avenue, were developed between 1937 and 1961, property records show. Luis Alvarez of Jeanne Baker International Realty is the listing agent. Alvarez told The Real Deal the properties are being listed for land value. “This is a rare opportunity to be able to buy that much acreage in the heart of the Grove,” he said. On the commercial end, the retail market in the Grove is booming. The properties listed for sale are one block west of CocoWalk, an open-air shopping center that will eventually be redeveloped. The majority interest of CocoWalk sold last year to Federal Realty Investment Trust and local partners Grass River Property and the Comras Company for nearly $88 million, with plans to re-merchandise the mall. And the retail building across the street from CocoWalk just sold to L3 Capital for $23 million. L3, a Chicago-based investment firm, has plans to re-tenant the property, citing the success of the Engle building across Main Highway. Meanwhile, on the west side of the neighborhood, the owner of a development site at 3280 Grand Avenue chopped the ask from $4.2 million in September to $4 million in March, or $268 per square foot. That land measures nearly 15,000 square feet and already has approvals for a boutique hotel with 45 suites, according to marketing materials.